Discover the underwater world of the Hawaiian Islands up close at MAUI OCEAN CENTER, the Hawaiian Aquarium. Here visitors can see spectacular live coral displays, elusive garden eels, majestic lion fish, Hawaiian green sea turtles and experience close encounters with sharks, rays and more. 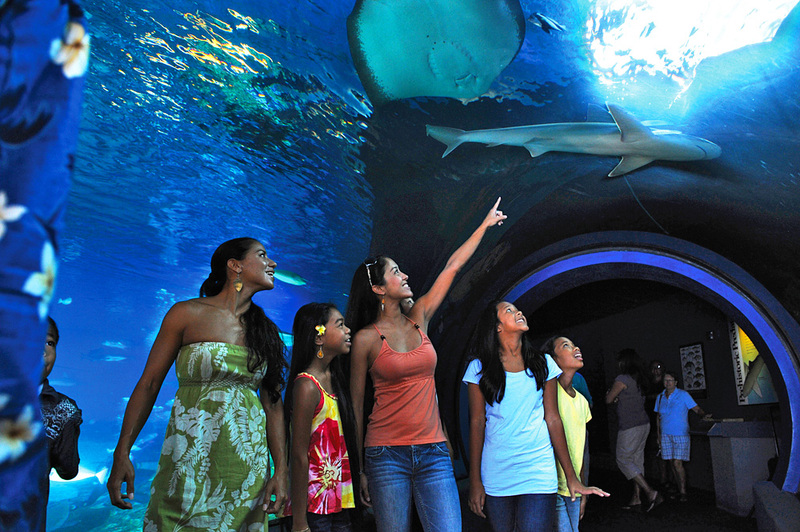 Throughout the park there are interactive displays, a touch pool and unique exhibits such as the acrylic tunnel through a 750,000 gallon Open Ocean Exhibit. Open 7 days a week 9-5pm; ‘till 6pm in July and August. Two restaurants plus the Maui Ocean Treasures gift shop are also on the property. A Maui “must do” for all ages!